A synthesizer is an electronic instrument that creates sound, and sound synthesis is, simply, to imitate or create a sound. A typical synthesizer includes several components that shape electric signals into sound. The resulting sound can be an imitation of a known musical instrument like a bass, or a natural sound like a rain drop. A synthesizer can even create a new sound; just use your imagination. One of the first “synthesizers” was Thomas Edison’s phonograph, built in 1877. Edison cut a continuous signal into a cylinder and when played back, he synthesized his own voice. Phonographs were of the first wave of synthesizers, then the invention of the magnetic tape machine allowed for longer recording and playback time. In the first half of the 20th Century, the components of what would become the modern synthesizer began to appear throughout the world. Some avant-garde music studios in Germany and France collected these basic synthesizer components and modules. Interestingly enough, it was the classical composers who adopted music synthesis at this time. Pierre Schaeffer’s Musique Concrete produced concerts of noises on Paris radio in the 1940s. Karlheinz Stockhausen produced electronic music and Edgar Varese debuted Poeme Electronique at the Brussels World Fair in 1958. Synthesized music had hit the masses. It is no surprise that nowadays you hear synthesizer on almost every popular song. The stage was set for Donald Buchla, who in 1962/1963 created the electronic music box, the first modern synthesizer, and Bob Moog, whose last name has been synonymous with the synthesizer since 1964. Moog’s synthesizers put all the then-current modular components together with a keyboard in a commercially successful musical instrument. The key technology behind Bob Moog’s synthesizer is voltage control. In very simple terms, the synthesizer controls electricity to produce sound. And without this innovation (and the development of small, cheap solid-state transistors), we wouldn’t have the synths we know and love today. The main components of the Moog synthesizer work in the following manner. A voltage control oscillator (VCO) outputs a tone based on a chosen waveform; sine, sawtooth, triangle, or square. The waveform can be run through Voltage Control Filters (VCF), Voltage Control Amplifiers (VCA), Envelopes, and Modulators, to shape and change its characteristics like pitch, timbre, and volume. The synthesizer player controls the resulting sound with a keyboard controller. The earliest versions of these synthesizers required patch cords to connect the different components together. By the 1970s, these modular systems gave way to more self-contained units like the famous Minimoog Model D. The synthesis techniques of the Moog analog synthesizer are still used today; in many cases they have just been digitized (or updated with newer analog components). The voltage control oscillator (VCO) is a module that accepts electric voltage. Upon input the amount of voltage decides the frequency or pitch. With the Moog, a keyboard easily scales the volts to notes. The VCO outputs a waveform. Essentially there are two types of VCOs; linear oscillators generate a sine waveform and relaxation oscillators generate a square, sawtooth or triangle waveform. The synthesizer allows the player to choose between a sine, triangle, sawtooth, or square waveform. Put simply, the waveform is the beginning of your synthesized sound. Think of it like this: the waveform is the shape of a soundwave in the sense of a graphical representation, showing variations in amplitude (loudness) over time. An easy way to understand the waveform types is that a sine wave is one simple fundamental frequency. The sawtooth, square, and triangle wave have a fundamental frequency plus harmonics that make the sound more complex (and musically pleasing). A sine is the most fundamental sound wave, the waveform corresponding to a single frequency oscillation. A sawtooth wave is a signal consisting of a fundamental frequency and all harmonics, with the intensity of the harmonics inversely related to frequency. A triangle wave contains a fundamental frequency and all odd harmonics, the higher harmonics fading quickly. Finally, a square wave, like a triangle wave, contains a fundamental frequency and all odd harmonics. The voltage control filter (VCF) allows you to choose which frequencies of the sound waveform to pass and be heard, or which frequencies to cut and silence. You accomplish this by choosing a cutoff frequency. For example, if you choose a low cutoff frequency on a typical Moog synthesizer, you will replicate a fat bass sound. A contemporary example of using a VCF is the filter sweep techno music has popularized. The DJ sweeps the cutoff frequency through the music with a filter, slowly or quickly, adding or subtracting sound from the spectrum of the played music. This technique creates excitement and anticipation for the listeners. Often you are able to resonate or feedback the chosen cutoff frequency, which emphasizes a narrow band of sound, referred to as the Q. The voltage controlled amplifier (VCA) varies the loudness of a sound based on the control of voltage. Simply put, this is like a volume knob, and is taken for granted nowadays. When working with analog synthesizers a VCA is very important, because you could lose amplitude or volume when shaping your sound by subtracting elements. You often needed a VCA to boost the final sound louder. The attack-decay-sustain-release envelope (ADSR), is what shapes the synthesized waveform through amplitude control over time. Often this component is the part of the synthesizer which adds a more musicality to the sound, as the envelope attempts to mimic how organic sound naturally behaves over time. All envelope filters go from one level to another based on level and time functions. The attack of the waveform is decided within the envelope. Attack is how long to go from no sound to peak level of sound. A quick attack is like a snare drum or percussive instrument like a piano. A slow attack is like a string section or a bowed instrument like a cello. The decay part of the envelope decides how long the volume of the waveform will get quieter till reaching the sustain level. Some instruments, like the organ, have no decay. The organ is sound on and sound off. The sustain part of the envelope equals how long you will hear the main part of the sound waveform. The release part of the envelope decides how long the sound lasts after the key on the keyboard is released. Release comes from sustain; if there is no sustain, there is no release. By controlling the attack, decay, sustain, and release of a waveform, you can truly change its timbre. Modulation is to change aspects of the synthesized waveform. There are different components used to achieve modulation on a synthesizer. Some common ways to modulate a waveform are to use a ring modulator or use a low frequency oscillator (LFO). A ring modulator is a component that mixes the original waveform with another waveform, typically a simple sine wave. A ring modulator can create a sound rich in overtones. The sound may be so complex that you do not recognize the original waveform. The LFO is another oscillator on a synthesizer separate from the voltage control oscillator. A LFO uses a very low frequency in order to change the sound of the original waveform. I think of the LFO as creating a shaky effect to the original sound. These effects are referred to as tremolo and vibrato. An LFO can be incorporated to control pitch, loudness, and panning left to right, among other options. The amount of modulation can typically be assigned to a modulation wheel located to the left of the keyboard. The “mod wheel” allows the synthesizer player to control the amount of modulation effect with one hand, while still playing the keyboard with the other hand. This allows for some pretty amazing real-time effects. Synthesizers have added to the lexicon of music in such an impactful manner that it seems unfathomable to go back to a time when there was not some type of synthesizer. Every form of music today uses synths (either hardware-based or software-based virtual synths), and if they don’t use a synthesizer directly, they record with a computer or an analog tape machine that is synthesizing the music upon playback. Synthesis is more relevant than ever with the world of audio samples and sound synthesis plug-ins in today’s DAWs. So take your pick: subtractive, additive, frequency modulation (FM), physical modeling, phase distortion, analysis, or sample based synthesis, and start playing. Torbin Harding is a graduate of Berklee College of Music, B.A. in Music Synthesis Production 1995, and the founder of Lo-Z Records in 1997. He currently works in both the analog tape and digital recording mediums. For more info, visit www.Lo-ZRecords.com. What do you think of our Sound Synthesis 101 article? 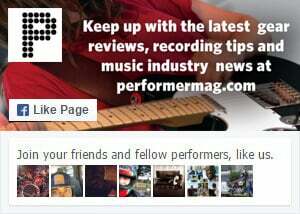 Sound off in the comments below or drop a line on the Performer Magazine Facebook page or on Twitter @Performermag. And read more from the special Synth Issue of Performer Magazine. Reading this was a walk down memory lane. Being a child of the 80s, I had a Commodore 64, which had the wonderful SID chip. It was basically a Moog on silicon.